We often see stories in the media about older people being discharged from hospital without enough care to support them at home. Aleisha White, an independent social worker and founder of The Care Advice Service, explains what services should be available and how you can make sure they are in place. Hospitals are usually very keen to discharge patients at the earliest available opportunity to release beds and often work on “black alert”. An NHS blackalert is a warning to the healthcare community that a hospital is facing greater demand for services than it can handle. It’s at these times that the shocking situation arises where some very ill people are expected to wait on beds in A&E corridors while a bed is located in the hospital. That’s why it’s vital that patients are discharged from hospital as soon as they have received all of the necessary assessments and are classed as medically fit. As an expert in care management I am often involved with families who are struggling to understand the discharge process and all of the assessments that should take place prior to discharge. Hospital wards are busy places and it can appear intimidating to insist on information. It is vital that patients are actually medically fit for discharge and that they have received all of the assessments they need to be able to return home safely. Otherwise, it can turn into a cycle of re-admission if discharges are not handled in the proper manner. It is extremely important to ensure that the following assessments have been carried out prior to discharge from hospital. All patients should have been reviewed by the ward consultant and pronounced medically fit for discharge. It is possible that some further assessments can be carried out as outpatients, but they are usually best done whilst still in hospital. All too often patients are discharged when they are not actually medically fit and this often results in a re-admission – this is called a failed discharge. Physiotherapy helps restore movement and function when people are affected by injury, illness or disability. It uses movement and exercise, manual therapy, education and advice that are tailored to an individual’s needs to promote, maintain and restore their physical health. Patients should be assessed by a physiotherapist whilst in hospital and be given the time to return to their base line before they are discharged from hospital. It is important that physiotherapy involvement is instigated at the appropriate time in order to increase the chances of regaining independence. An occupational therapist can identify strengths and difficulties that the discharged patient may have in everyday life, such as dressing, cooking or getting to the shops, and will help them work out practical solutions. 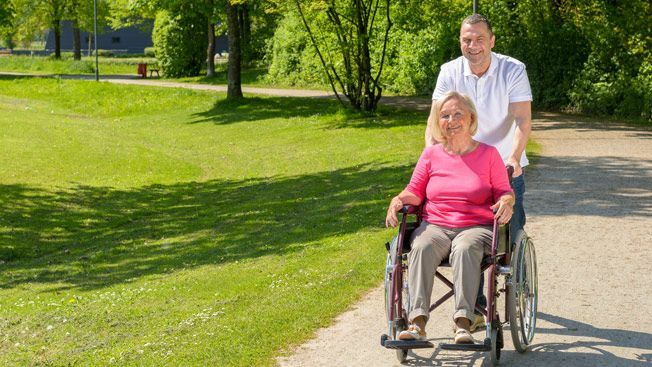 They can work with the patient to identify goals that can help them maintain, regain, or improve their independence by using different techniques, changing their environment, and using new equipment. When it has been determined that a patient will have care needs on discharge from hospital, a NHS Continuing Healthcare Checklist should be completed on the ward, when the patient is deemed medically fit. If the Checklist is positive, a meeting should be arranged with the discharge coordinator, a social worker and the patient (or a member of their family/representative) and a decision about eligibility should be made before the patient leaves hospital. If eligible, NHS Continuing Healthcare can fund the cost of care at home or in a care home. The patient or representative should be fully involved in these assessments and copies of the assessments should be requested as you may need to refer to these at a later stage. In some cases a patient may be assessed as ineligible for NHS Continuing Healthcare. In these cases, the ward staff should then make a referral to Social Services for an eligibility assessment and a financial assessment. Social Services can set up a care package or a care home placement in which the patient or family representative should be fully involved. If the financial assessment reveals the patient has over £23,250 in capital, then they will be expected to pay for the cost of their care. In general it is very important that the patient receives a thorough assessment of need and that appropriate plans are made to support the person when they leave the hospital. Help at home can include an initial intensive support package to ensure that the patient is able to continue to recover at home, i.e. support with personal care, meals, shopping and cooking. Ongoing daily visits of up to four calls per day can be organised for those who need it. It is also possible to arrange a live-in carer if the person is deemed unsafe to be at home alone or indeed would like to have some companionship to support them to stay at home. How do I find out if these assessments have been carried and what they’ve said? Ask to speak to the ward sister and determine whether these assessments have been carried out and what has been said. If necessary ask to speak to the consultant responsible for your relative. It is important to seek this information before discharge as it is difficult to get hold of information after discharge – you might even need to go through the Freedom of Information process to get access. The above information relates to the NHS in England. 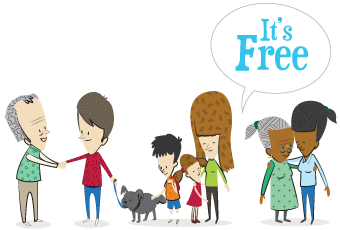 The Care Advice Centre, offers a flexible, tailor-made approach to care planning without the time, eligibility and budgetary constraints associated with local authorities. By working closely with individuals, their family and carers the Care Advice Centre can provide during an often difficult and stressful transition. Aleisha is also an affiliate of the Society of Later Life Advisors and a member of the British School of Social Workers and the Health Care Professions Council. For more information visit the Care Advice Centre website or contact her via email. This article was published in July 2016.